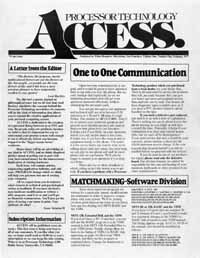 The first issues of this newsletter were small newspapers, this issue of 12 pages. More than half are devoted to the 8080 assembly language source code listing for the CONSOL "minimum operating system", i.e. system monitor in ROM, for the SOL micro. 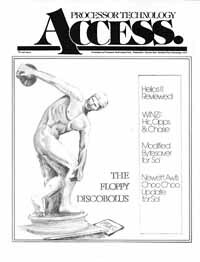 Now in a more magazine format but B&W only, code listings for games and utilities still occupy a number of the 36 pages.